DFSK Glory Car now available in Sri lanka, marketed by United Motors Lanka PLC. Now you can buy Glory Car for Rs 3299000.00 and special benefit, it facilitate space for six passengers. DFSK was founded in 2003, mainly produce mini commercial vehicles and passenger vehicles. 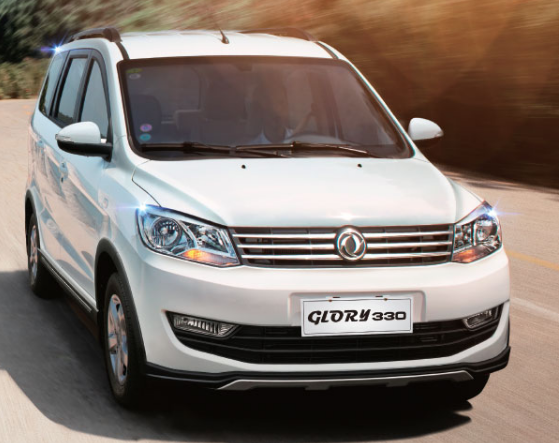 DFSK Glory Car comes with 1.3L Turbo Diesel Engine, 5 speed manual gear box, 6 flexible seating arrangement, Radio / MP5 / Mp3 & USB with Bluetooth connectivity, Power windows & Power mirrors, 14" Alloys, Reverse camera with GPS sensors and Dual Air Conditioning system. 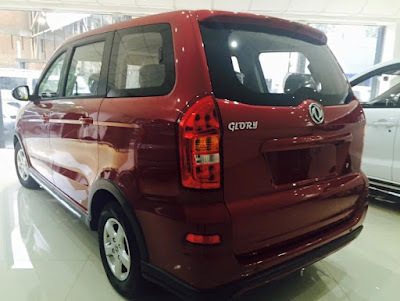 Glory Car now can order with six colour options in Sri lanka. There red, gold, gray and white colour. 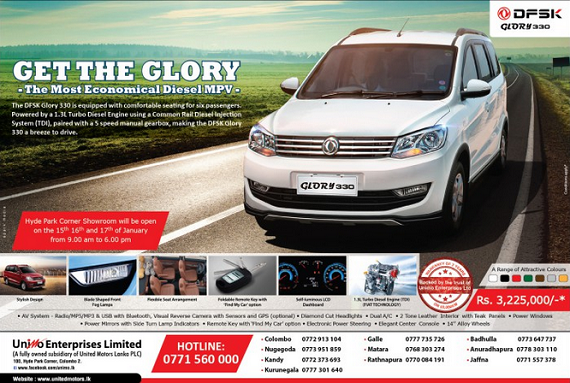 This is the DFSK Glory Car Price in Sri lanka. 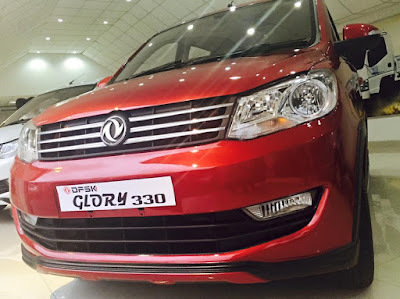 Is it available the glory 360 in sri lanka? 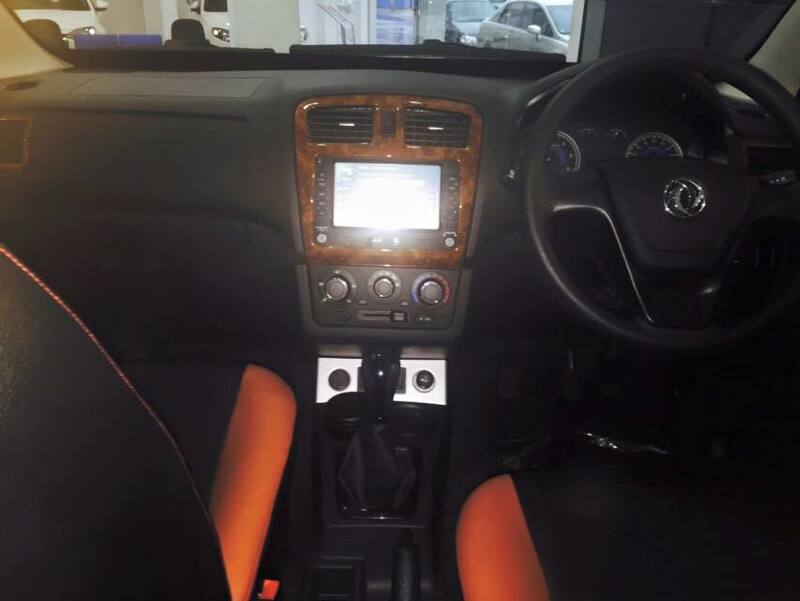 Can you send the current price and is it have different model with different specification.